This video is actually able to show how the beta version of Bowser’s Castle on Mario Kart Wii looks and plays. The footage of the game starts at the five-minute mark. The track even notably works with CPU characters. Take a look at the clip for the full explanation, and tell us in the comments if you used to play the Wii version of Mario Kart. I dominated in Mario Kart Wii Online. There was literally one little Mii head ahead of mine on the ranking meter. Me and whoever that was were roasting our server. I still dominate in MK8DX now. This game is the gift that keeps on givin'. That wavy road area at the beginning reminds me of a similar area of the Twisted Mansion track in Mario Kart 8. @Prof_Yoshtonics How do you stay competitive in MK8DX? I feel like Nintendo patched it some time ago and messed with the item balance online. I consider myself quite skilled at the game, but the items are just so frantic now, I can't play competitively anymore. 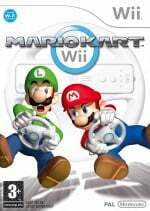 I think Mario Kart Wii was my most played Wii game - because I didn't get a copy of Xenoblade until after the Wii U launched and played it there. @Not_Soos Honestly, it's all about the setup and out driving other people. I definitely lose more in 8 than on Wii but, I still go on runs where I get 4 or 5 wins in a row. @Prof_Yoshtonics I find that the best way to play 8 online is to just accept the fact that everything's gonna be chaos. That stray green shell someone threw randomly is inevitably always going to hit you and only you. People who only played Funky Kong in Wii used to annoy me. His advantage was a very slightly higher top speed, so therefore everyone picked him even though it wasn't much of a difference. @Riderkicker That's what I was thinking. @ReaderRagfish Yeah accepting the chaos and getting good at item management. Use the coins immediately, always drag bananas, shells and bombs behind you for defense. Always boost, use shortcuts and keep your coins up as high as you can. Also, if you use a bigger character, use their weight to bump smaller players off the track.